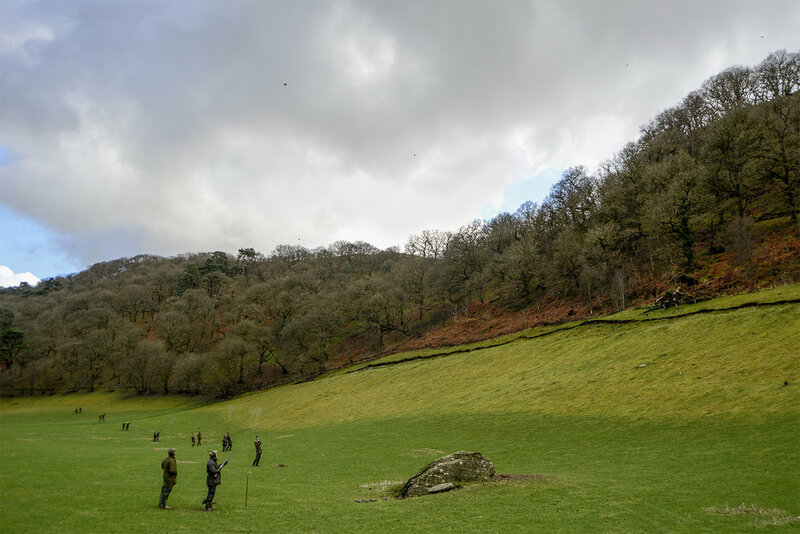 Llwyn Madoc provides high bird nirvana for the serious sportsman in the spectacular landscape. A mile to the north west of the village of Beulah, with the Cambrian Mountains raising up behind the shoot background, the shoot shows birds coming over (extremely) steep bracken banks, hanging woods and cover crops. The shoot aims to have the guns on their pegs for the first drive by 9.30-10am and normally shoot three drives in the morning and one after lunch, with a break for elevenses taken between drives in the morning. The guns will return to the Manor House for drinks and lunch after the third drive or will shoot through and have lunch at the end of the day. We can - of course - organise accommodation for teams in in hotels and local pubs, or guns can stay at Llwyn Madoc Manor. High bird shooting at its best, four hours from West London.